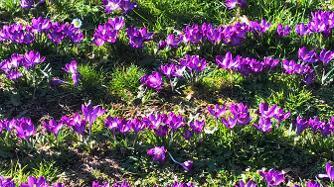 You must have noticed the thousands of purple crocus coming up in Hotham Park, Rectory Gardens, Longbrook Park, Sea Road and around Middleton pond. Over the last few years these have been planted in support of the international Rotary effort to eradicate polio in our World. 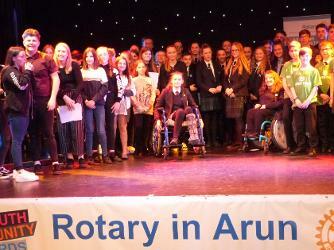 A packed audience joined the Rotary Clubs in Arun for this annual event to mark the local youth's achievements. Many certificates and prizes were presented during the evening at the Windmill Theatre in Littlehampton. Our thanks go to our sponsor for the event Butlins South Coast World. Every evening on our Televisions we watch the disaster unfolding in Central Africa. Our Club is sending out Aquaboxes to this disaster area. 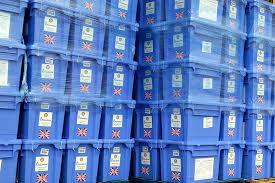 These will be delivered by local Rotary Clubs and will provide clean drinking water. We enjoy our lives by meeting each other and by working in the local community. We are not a dining club and we have no strict attendance rules. 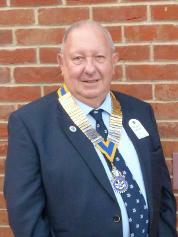 Through membership of our Club you can help local charities and become involved in your community. Jointly with Hotham Park Heritage Trust, we are holding a musical picnic in the park at 13.00 to 16.00. So bring your food and join us on this afternoon of music and dancing.